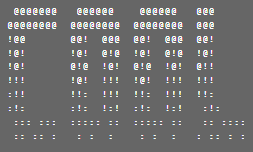 Those dudes did fantastic job on creating pretty awesome ASCII fonts. See some samples below. Generate one for your name and use it on your Outlook and other places. 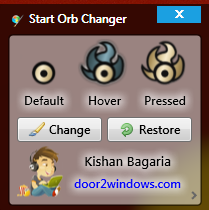 With this program (http://www.door2windows.com/windows-7-start-button-changer-change-your-windows-7-start-button-with-one-click/) you can change the Windows 7 Start Orb or button something cool. 1. Download the program from above link and save the program to known location. 3. Right click on the downloaded file named “Windows 7 Start Orb Changer.exe” & run as Administrator. 4. Click Change button and select your favorite downloaded Start Orb.